The Sewage Wastewater Program at Marion Public Health permits household sewage treatment systems (HSTS). Much of Marion County is unsewered and individual home sewage systems are necessary in order for home building to continue. 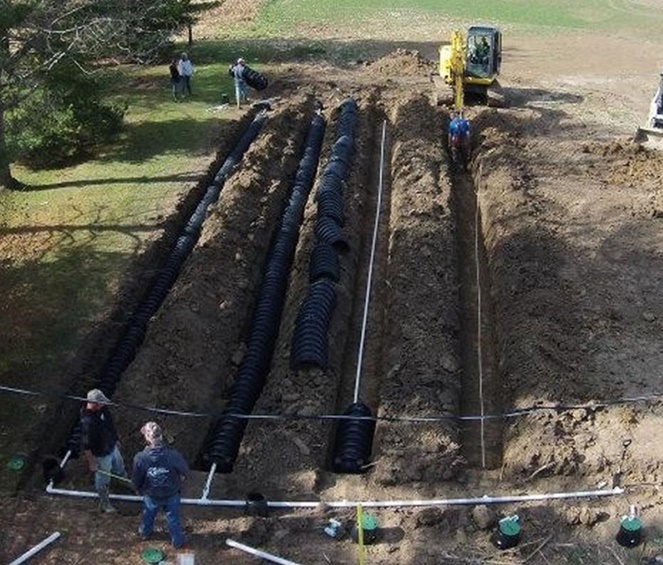 Our goal is to work with homeowners and contractors to make installing a septic tank a seamless process. Staff sanitarians evaluate each property to determine if a home sewage system can be installed, and if the designed system will work efficiently in a safe, healthy manner. Sewage installers, liquid waste haulers, and service providers are also registered and inspected by the health district. We also follow up on sewage complaints in the community. Marion Public Health strives to educate before we regulate. Complaints involving malfunctioning systems are investigated and orders to repair are issued with follow up action to assure correction. If you have any questions regarding septic tanks, please call 740-692-9112. Failing septic systems contribute to contaminating ground water wells, streams and rivers with high levels of bacteria and viruses that can cause severe illnesses in individuals and can also lead to outbreaks of Hepatitis A, “Crypto”, typhoid fever, Giardia, E. coli, Salmonella, Encephalitis, etc. Sewage surfacing on the ground, corroded or collapsed tanks, tanks that discharge to a creek or a ditch, broken aerators, tanks that fill up with rainwater, and more are all considered failing systems. If your system is failing, you may qualify for grant monies that are available through our Water Pollution Control Fund. This fund could potentially cover 100% of your system! Pick up a Homeowner Application at Marion Public Health, or download one here, and return it promptly. Contact Evelyn at Regional Planning to have your income verified. Once your eligibility is determined, Marion Public Health contracts to have a soils scientist come out and do a soils test, as well as a Sanitarian visit the site (Sanitarian will have ID and a vehicle with our logo on it). 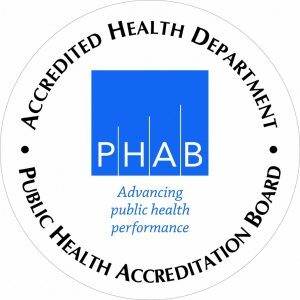 MPH obtains 3 installer contractor bids, and you may see a contractor at your property during this process. Once the bids are received, we send recommended installer to the EPA for approval in groups of 3-4 properties. Once that process is complete, we then will contact you to let you know your share of the cost based on your prior determined income verification. Systems are installed when all bids in the group are awarded, homeowner cost share is received, and weather is permitting. This grant is first come, first serve, and is available until monies run out. If the aerator motor(spins to introduce air and mixing) is missing or does not come on. If you have an onlot leach field or filter bed, the field can become plugged due to the stronger waste stream, reducing the life of your system. If you discharge to a tile, you are discharging untreated sewage to the creek, ditch, stream or river. You and your neighbor’s drinking water wells and groundwater can become contaminated. Not pumping the tank at least every 3-5 years can plug up the outlet tile. You may see sewage surfacing in the yard. Lush green grass around the tank may indicate a crack in the tank or seal allowing sewage to seep out before the leach field where dispersal and treatment occurs. All tanks should be watertight. The drains inside your house drain slowly or not at all(could also be a plug in the waste line). Have your system inspected. See the list of registered service providers below. How do I prolong the life of my septic system? Older style stone and pipe septic systems can last 50-60 years before the lines plug up with a biomat or the tank corrodes or cracks. If the system was put in after permitting requirements, a drawing of your system may be on file at the Health Department with the date of install and the type of system. Systems are categorized as on-lot (soil infiltration and treatment) and off-lot or discharging. The off-lot is no longer allowed unless it is the only replacement option and an NPDES permit is obtained. Alterations to off lot discharging systems require an NPDES permit from the EPA and upgrading the system to discharge cleaner water to the tile to comply with the Clean Water Act of 2007. See Ohio Environmental Protection Agency Fact Sheet. If the system can be altered by installing an onlot system, there is no need to obtain an NPDES permit from the EPA. How do I choose a septic system?